Memories are waiting to be made at the cute, year round cabin. 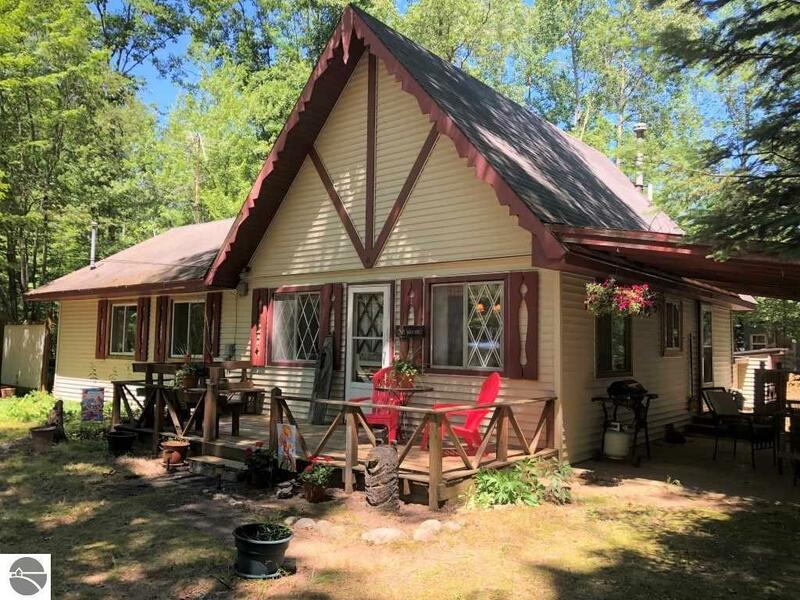 Knotty pine, 2 bedrooms, 2 full bathrooms, with a loft that can accommodate all your family & friends! Over 500 acres for hunting + ORV trails. Sit on the front porch & listen to the quiet sounds of nature or enjoy the fire pit in the large, partially fenced back yard. This house sits on 2 lots w/access to Doc + Tom Lake, a 320+ acre, all sports lake. Enjoy all the amenities of Lake of the Pines Assoc. Dues are only $135/yr.! Which entitles you to so much. Visit their website @ www.lake of the pines.cc to see the beautiful pool, lake, clubhouse, grounds, etc. One year home protection plan included. *New home water October 2018* Most furniture is included in sale so you can just move right in and enjoy the rest of your summer!